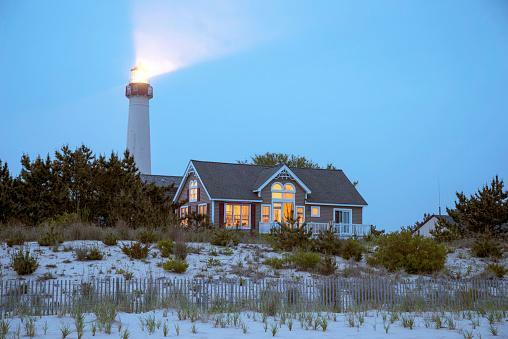 A summer escape to the Jersey Shore in New Jersey is as traditional for residents of the New York metro area as strawberries and whipped cream or fireworks on the Fourth of July. 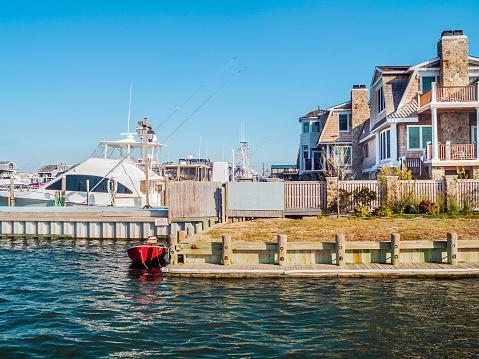 If you are thinking of a summer rental on the Shore, there are plenty of options from houses, condos and boats, to one-room rentals at a range of price points. If you equate romance with refinement, Spring Lake is a good choice for a couple's getaway. Beautiful beaches, historic districts, shopping, casual outdoor restaurants, cozy cafes, and a vibrant performing arts and cultural community are all wrapped up in this gracious and welcoming town by the sea. Want to enjoy coffee, tea or wine on a private balcony with fabulous ocean views and soft sea breezes? This oceanfront home on VRBO could be the perfect choice. Boasting excellent customer reviews, this is three bedroom house is situated steps from the beach; it is literally across the street. The elegantly furnished master bedroom features a king-size sleigh bed, wide-screen TV, and French doors that open to a balcony with water views. Wake to the sunrise every morning! If you decide to have guests, there are two extra bedrooms including one with twin beds. There is also sleeping space available in the basement, but remember, renters are limited to seven overnight guests. In the dining room, you'll find a large dining room table imported from Italy that seats twelve. If outdoor entertaining is your thing, this property has a large backyard with a grill and even an outdoor shower so you don't track sand into the marble foyer. 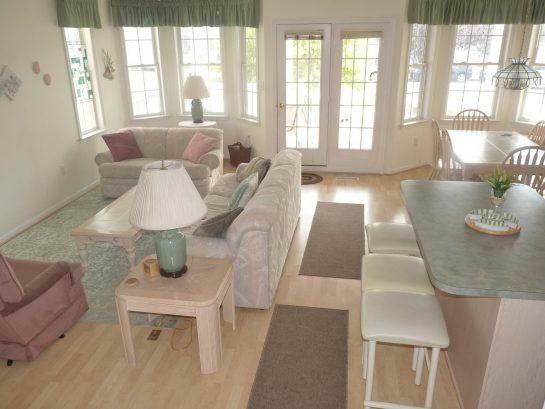 The large porch off the living room has beautiful ocean views replete with rocking chairs. The price tag for this vacation home is approximately $1,150 per night. There is a minimum stay requirement of four to seven nights. Additionally, renters cannot have a party, pets are not allowed, and neither is smoking. If you are looking for family fun, head over to Ocean City, New Jersey. This destination has been called "America's Greatest Family Resort," because it has been dishing out family fun since the 1880s. There is so much for families to do here. Music Pier hosts a cornucopia of summer events from concerts and magic shows to theatrical performances. The Boardwalk is a hive of activity and boasts a variety of events, shops, rides, water parks and even a miniature golf course. Families can take a step back in time at Playland's Castaway Cove, a favorite for 55 years. Here you will find classic and thrill rides right on the boardwalk. The more adventurous might try their hand at the Disney-like Congo Falls 18 hole miniature golf course or sail the high seas with Pirate Voyages on the Sea Dragon, a custom made vessel. 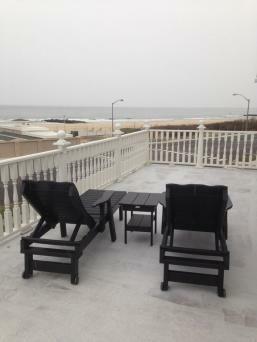 A first floor condo from Shore Summer Rentals that is close to the beach and the boardwalk, is family friendly, and sleeps eight seems like a perfect fit for a family of four to six people. While the property is on the water, everything is in walking distance and the unit has a fully equipped kitchen, breakfast bar and a family sized dining table. An outdoor shower will help cut down on bringing beach sand into the house; this means less cleaning for mom and dad! The bedrooms are another plus. The master bedroom has a private bath and queen size bed, with the added allure of sliding doors that lead to the back deck. In addition, a second bedroom has a queen size bed and the third room has two twin beds. In this age of constant connection, the house has cable and WIFI, so you can keep posting those family memories on Facebook. A large covered porch and outside seating for ten make this house perfect for summer family dining. All rentals are weekly from Saturday to Saturday with rates in the $1,900 range. There are strict guidelines for when you can check in and out. Pets and smoking are not allowed and guests have to bring their own bed linens and towels. If you are looking for an unusual and somewhat exotic getaway in New Jersey and want to be near the water, why not be on the water itself? Yes, you can actually be on the water if you rent the Queen Nefertiti Yacht Hotel, located at Tavern on the Bay in Somers Point, New Jersey. The quaint little town is only four square miles, offering a quiet escape from the big city. Don't worry about sailing out to sea because this yacht hotel stays docked at the marina behind Tavern on the Bay Resort. Positive reviews cite the unique pirate-like feel and the option of fishing off the deck in the calm and relaxing bay. The vintage yacht comes with a fascinating history having once been owned by actor James Cagney and later lost in a card game. It has recently been renovated and now accommodates up to five guests. In addition to offering a unique overnight stay, this yacht allows pets and smoking. Nearby Longport Dog Beach allows dogs to roam the beach with their owners all year round! Surprisingly, dogs can explore Longport without a leash as long as they are with their very responsible owner! On the negative side, there are only two bedrooms and one bathroom, so it may not be appropriate for guests who prefer a roomier place to stay. It also might not be appropriate for anyone who may get queasy from the gentle movement on the water. Prices start in the $250 per night range and go up on the weekends. You can rent it for just one night, but they do offer a 25% weekly discount and a 50% monthly discount. 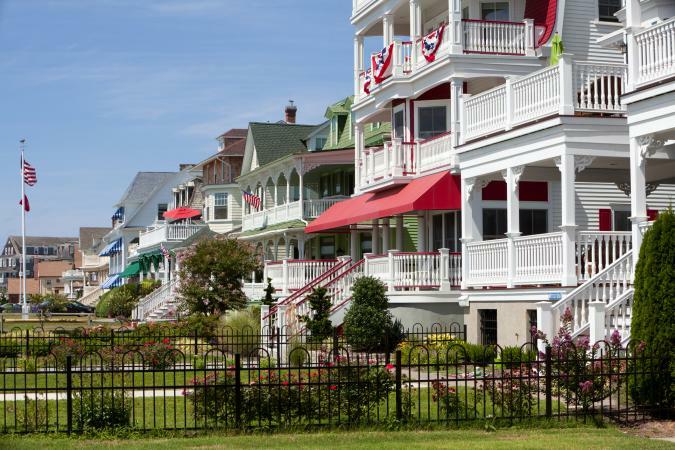 Cape May, one of the oldest seaside resorts in the county, epitomizes charm with more than 600 prized gingerbread Victorian houses within 2.2 miles. These homes are beautifully preserved in a gracious enclave of pastel colored homes with fishtail shingles, ornate railings, cupolas, columned porches and turrets that look out to the ocean. Soak in the local culture in Cape May by enjoying some of the area's must-see attractions. A great way to take in Cape May is to take a horse drawn tour with Cape May Carriage Company. Picture-perfect views of the sea and the surrounding landscape can be found at the Cape May Lighthouse, located about two miles outside the city. Learn about the history and lore of this lighthouse and how important it was to mariners for navigation. If Victorian architecture is of interest, don't miss a visit to the meticulously decorated Physick Estate that documents the lives of one of Cape May's most extraordinary families. When in Cape May, consider renting a grand Victorian house and step back in time to the area's golden age. This pastel yellow ocean front Victorian cottage built in 1881 has mature gardens, double front porches with ocean views, high ceilings and exquisite period furniture. The 5,000 square foot house features six bathrooms and seven bedrooms, including two master suites with endless ocean views, two other bedrooms with ocean views, and the three remaining bedrooms with garden views. A large family room, state of the art kitchen and screened-in gazebo make this ideal for a family or couple's retreat. Best of all, everything is in walking distance (if you ever want to leave this lovely property). The minimum stay is three to seven nights. The property is priced at about $1,145 per night. The only negative came from one review that noted the kitchen and eating area were down long narrow stairs and that the owner treats the house like a museum. All other reviews were glowing. If this is your first time renting on the New Jersey Shore, remember to determine what your needs and expectations are, and to rent only from reliable and trustworthy sources. Homeaway.com, VRBO, AirBNB and Shore Summer Rentals are great places to start. They all offer online booking and easy communication with property managers. Before booking your rental property, check over some key considerations. Where is the rental located? What attractions are nearby? Does this meet your vacation expectations? Find out what is and is not included. Are towels, dishes, sheets and kitchen necessities provided? This will make planning much easier since you will know what you need to bring with you. Are there any hidden costs or extra charges? Is there a cleaning fee, a user fee or convenience fee? Don't be afraid to shop around. Negotiate pricing, especially if you are planning to rent at the spur of the moment or for a longer period. Pay very careful attention to customer reviews; if a review says the house was a mess and the towels were threadbare, you might want to look elsewhere. Take photos of any damage to the property as you are moving in and show them to the owners or property manager. Check necessities such as the air-conditioning, toilets, kitchen appliances, and shower to make sure everything is in proper working order. Pay it forward. Always leave a review of your experience for future renters to read. Regardless of where you stay on the New Jersey shoreline, there is so much to see and do, including the area's main attraction, the beach! Finding your perfect getaway vacation house, whether it is a historic home, cozy cottage or condo, has become a lot easier with reliable online booking services and in-depth customer reviews all at your fingertips.